Rendering of the planned redevelopment from 29th Street. This is the only façade the design team is confident can be retained. Click to enlarge. 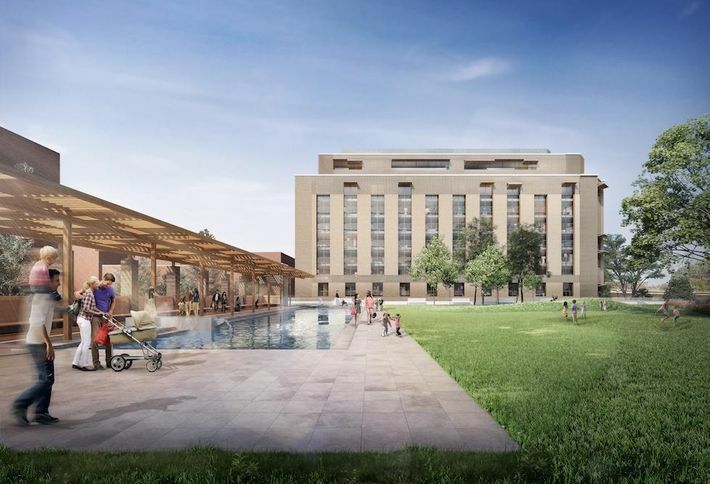 The Commission of Fine Arts' (CFA) unanimous decision last May to support the conceptual design of the redevelopment of the West Heating Plant in Georgetown seemed to pave the way to eventual approval. Of course, that was until the building was designated a historic landmark six months later. Now, however, it seems that CFA may have led the development team to get ahead of themselves design-wise, complicating matters going forward as evidenced by yesterday's rollercoaster Historic Preservation Review Board (HPRB) hearing on the matter. 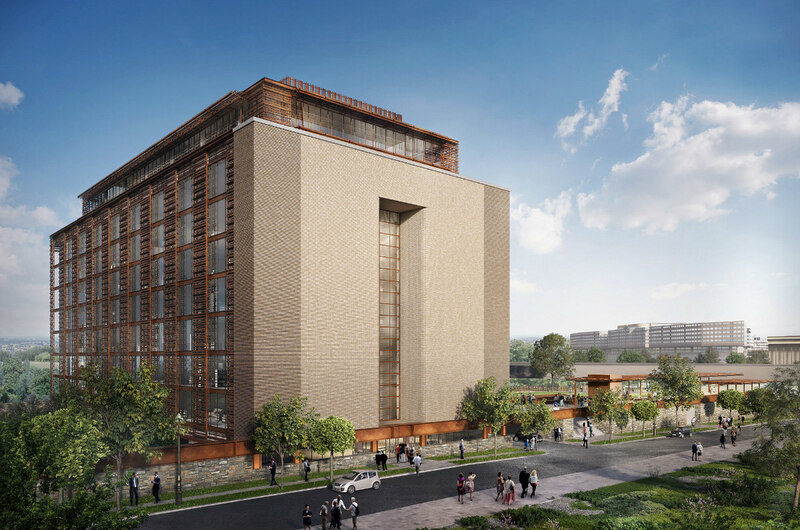 Georgetown Companies and the Levy Group are teaming up with the Four Seasons in hopes of turning the long-dormant heating plant and adjacent industrial site at 1051-1055 29th Street NW (map) into a 60-unit luxury condo building overlooking a one-acre, elevated public park. Previous rendering of planned building from elevated park; version originally approved by the CFA. Click to enlarge. When presented with a design that largely deferred to the existing plant, the CFA expressed their wish for a “less literal” building and a less "suburban" park, a directive that led architects Sir David Adjaye and Laurie Olin to reconsider the building and park designs. Rendering of planned building from elevated park. Click to enlarge. 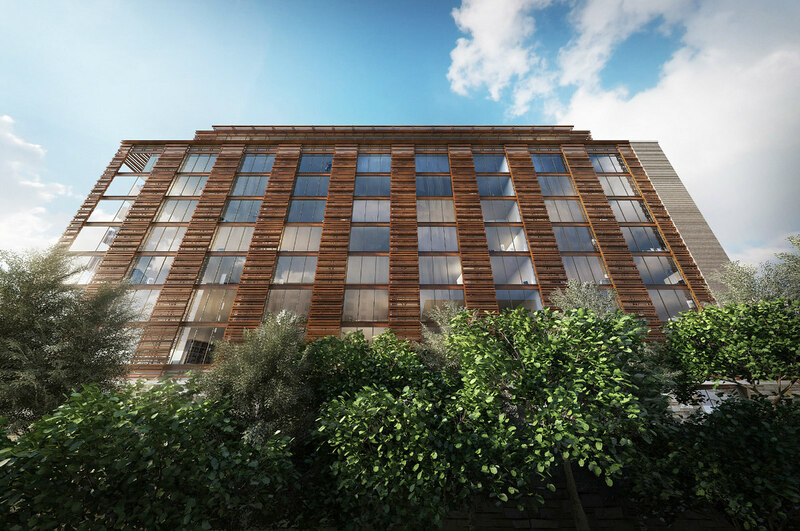 The resulting design, which garnered the support of the CFA and various Georgetown community organizations, runs afoul of the Office of Planning (OP) and historic preservation directives — especially post-landmark designation. That tug-of-war between ambitious and inspiring design and the letter of the law was on full display at the HPRB hearing, leading the Board to vote in favor of the conceptual design against OP's recommendation while parsing through some of the finer points of OP's report. HPRB voted in agreement with the first three points in the report: that permitting demolition would run counter to historic preservation mandates, that the concept doesn't align with the historic preservation standards of the Secretary of the Interior, and that it may be feasible to either repair or reconstruct the brick façade. However, the Board disagreed that the design is "architecturally unconvincing and does not achieve meaningful historic preservation". "It speaks to the character of an industrial building in a way that allows for the ideas of the industrial building to still be there, some of the character to remain, but allows for, one, reinterpretation of those ideas, and two, room for this new residential use, which I think is necessary," explained Chair Marnique Heath. "I think the building has to go through a reinterpretation and significant modification to make it appropriate for residential use regardless of how we move forward, so I think some leeway should be given there." The Board also narrowly voted that the applicant had justified its case for constructing a 110 foot tall building. The existing building is 110 feet high, a height incompatible with the Georgetown Historic District. 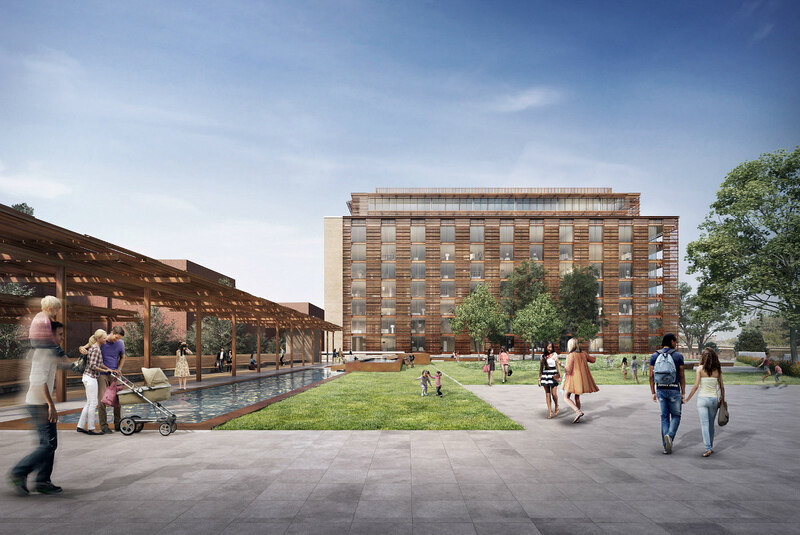 The votes included comments from the Board on what they hope to see in the design moving forward, which, for most, is simply more historic elements preserved in the final project. Some also stated that the layering effect of the design could be somewhat simplified and that the horizontality of the balconies disrupted the verticality of the overall design. Heath also expressed her wish that the Board had also had an opportunity to see and opine on the previous design the CFA had voted on. The development team has the option of amending the design to return to HPRB, but will likely now apply for a hearing with the Mayor's Agent for Historic Preservation in hopes that it will find the project to be one of "special merit" that would justify demolition. Additional images are below. Rendering of north façade. Click to enlarge. 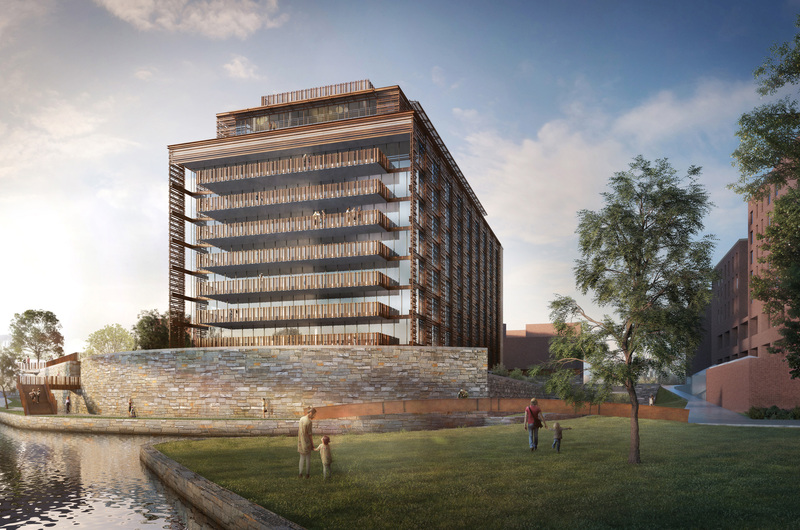 Rendering of planned building viewed from Rock Creek Park. Click to enlarge. Rendering of pergola. Click to enlarge. 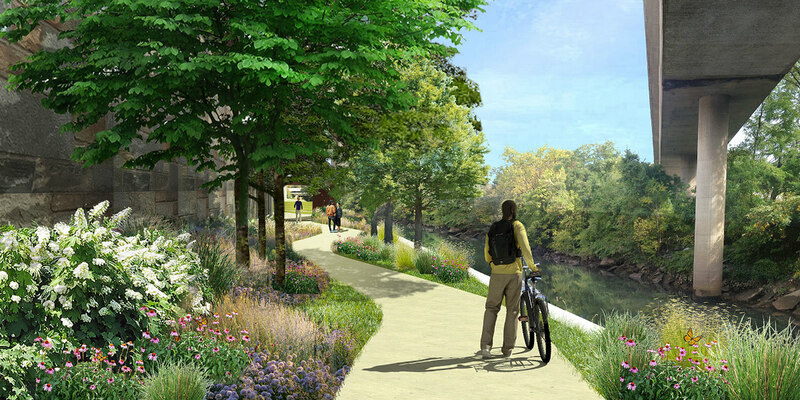 Rendering of new tow path connection. Click to enlarge.